god’s at war: food—friend or foe? Part 3 in a series. In part one and two, I made the following statement: “God’s at War”; The title says it all. Author of the book, Kyle Idleman, states, “What if I told you that every sin you are struggling with is because of idolatry.” He is absolutely correct…idolatry is a consistent distraction for God’s people. We were created to worship. Idolatry is simply worshiping the wrong thing, or things. False worship is when an entity, person, or object has a greater place or value in our lives than God—our passion for “something” outweighs our passion for Him; it draws us away. Most of us don’t have idols on our shelves…they are parked in the garage or consumed on a daily basis. We don’t pay homage to a statue in the living room, but we are mesmerized by a 50” box affectionately known as “the entertainment center.” We don’t sacrifice things on the altar, but we do sacrifice our time (and time with of our children) on the altar of misguided priorities. Idols promise life but bring death; promise peace but bring confusion. Another destructive idol for most of us is food. The body says, “Eat what you want”; God says, “Eat what you need.” Eating healthy is a constant challenge because temptation is always before us. Although I believed I was healthy and fit, by the time I reached my twenty-second birthday, my 6’2’’ frame had skyrocketed to 270 pounds and I was diagnosed with borderline hypoglycemia. My blood pressure and my cholesterol levels were high, my health was rapidly deteriorating. I was told that I might need to take medication for the rest of my life. As a result, I was denied life insurance and was instructed by my physician to “go on a strict diet.” I was shocked! I knew that if I didn’t change my life, my life would change me! I immediately drove to a bookstore and purchased a diet book convinced that it would help. It worked, but only temporarily. Within a few months, I gained back all the weight I had lost. I continued to try different diets for several more years; all of them failed miserably. As a result, I became angry and frustrated. Many of the diets presented what I wanted to hear, and not what I needed to hear to live a healthy life. It shouldn’t be about selling products, pills, and false promises-the truth is enough. The truth is that we are losing the war against obesity and poor health. And unless we change the way we approach this topic, it will not improve. Between 1992 and 2000, I was an employee, then a manager, and finally a corporate executive in Southern California for the fastest growing fitness company in the world, 24 Hour Fitness. Throughout that time, I managed fitness centers and personal training departments while assisting and interviewing thousands of weight-loss clients. As a result, I identified a consistent pattern that surfaced time and time again: those who were fit rarely, if ever, referred to dieting, while those trying to lose weight often referred to being on a “diet.” Those who were fit, whether they knew it or not, often followed a biblical plan; they didn’t diet. I applied these principles in overcoming my own health and weight-loss challenge. The next time that you’re tempted, try asking, “Does my body need it—or does it want it?” If it needs it, consume it. If it wants it, think twice. It’s generally not “if” poor nutrition causes damage, but “when.” What a sad commentary on the lifestyle of a nation that has such great potential to live in the blessings that God has so graciously given. Another important step, although extremely difficult, involves removing addictive substances that undermine health. Addiction is idolatry. I vividly remember a comment from a clinical nutritionist that motivated me greatly, “Limiting or discontinuing caffeine intake leads to significant improvements in health…far more than just dieting alone.” He also made the connection between depression, anxiety, and panic attacks to caffeine. Don’t get me wrong, as a person who once loved a good strong cup of coffee, I understand that moderation is the key. However, most can’t go a few days without it; they’re lucky to go a few hours. Caffeine intake in the form of energy drinks and coffee is highly addicted and damages health. The body is kept in a constant state of stress. No wonder it breaks down often and why many never overcome fatigue. Contrary to popular belief, stimulants don’t actually help fatigue, they contribute to it. The short-term results do not outweigh the long-term damage. The purpose of food is to meet our nutritional needs, not our wants. That bears repeating: food was created to meet our body’s “needs” not our “wants”…to heal, restore, and replenish. Many of America’s most popular foods have little nutritional value, and contain harmful ingredients. Add to this the absence of fruit and vegetables for fiber and dietary value, and it’s obvious why cancer now affects one out of three individuals—we’re not feeding the body what it needs to fight cancer, heart disease, and poor health, in general. No wonder many experience extremely low energy levels, attention-deficit problems, sleep disorders, anxiety, and mood swings, to name only a few. A first step toward conquering this idol is to eat God-given, healthy foods, and focus on what the body needs not what it wants. 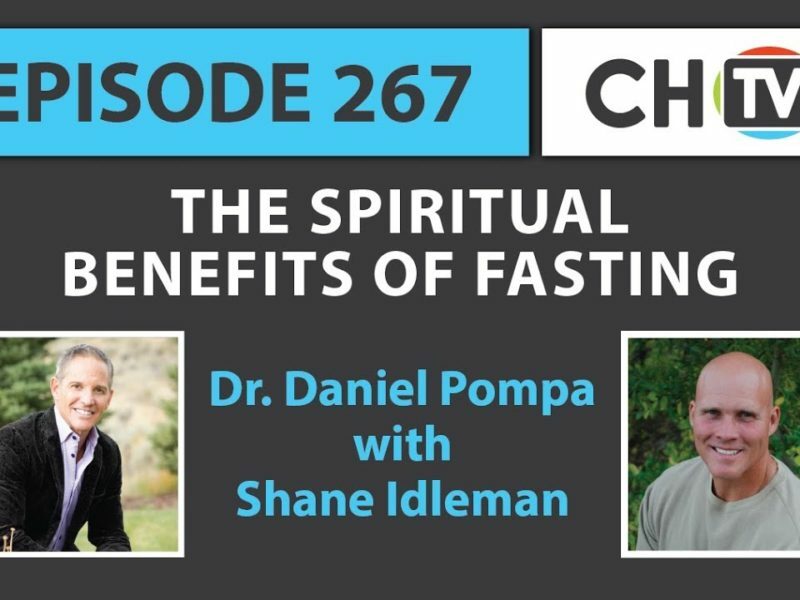 Shane Idleman, is the founder and lead pastor of Westside Christian Fellowship in Lancaster, Ca. He currently resides in Southern California with his wife and kids.